We are committed to nurturing the artistic growth of our member, and creating awareness of the versatility and value of pastel fine art in our community by annually sponsoring professional fine art pastel artists at intensive workshops in Tucson. 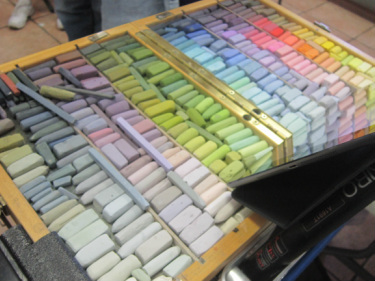 Registration is open first to members of the Tucson Pastel Society, and then if seats are still available the workshops are opened up to the general public. Cancellations must be in writing in a letter or email to the workshop contact. A full refund will be given if cancellation is received by the contact 14 days prior to the start date of the workshop. Refunds after 14 days prior to the workshop will only occur if the Tucson Pastel Society cancels the workshop due to low participation. Payments made through PayPal will be refunded prior to the 14 day deadline minus the PayPal fee.